Carton House, Cahir Park, Killarney, Roscommon, Lee Valley, Mountbellew, Malahide, Ballykisteen and Limerick are one step closer to winning an AIG National Pennant after their wins at the AIG Ladies Cups and Shields today. 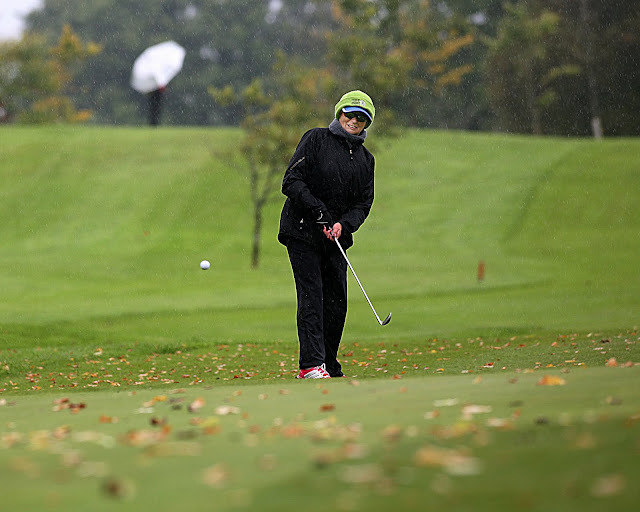 Three finals, the AIG Intermediate and Minor Cup alongside the Senior Foursomes, are set for tomorrow. Carton House face Cahir Park after an extraordinary comeback win over Shandon Park in the Intermediate Cup and Mountbellew face Lee Valley in the Minor Cup final. 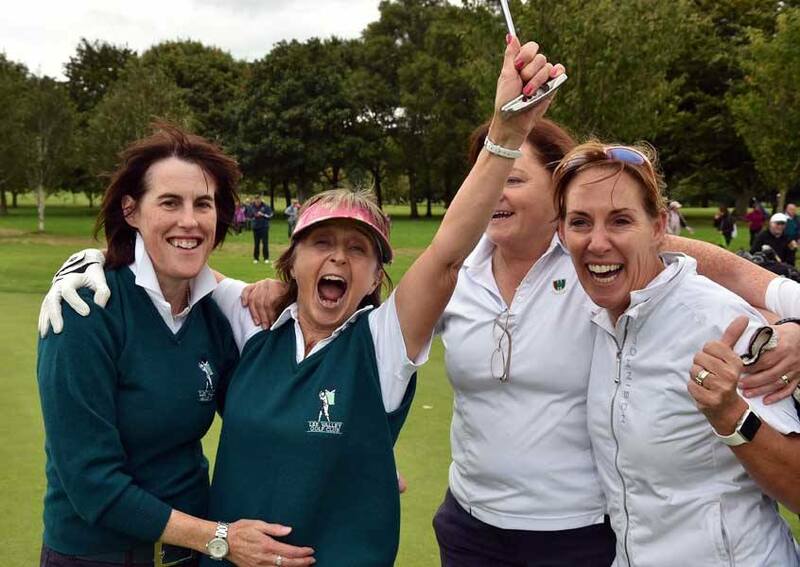 Anne Marie Murray, Lady Captain of Mountbellew is delighted to have 3 teams represented at the AIG Cups and Shields National Finals let alone have any of them reach a final, "It's been a fantastic year, to have 3 teams win a District Pennant and reach Malone, it is a great achievement for the club." With only 60 female members, approximately 30 of them actively playing, most of the club has travelled as part of the teams or to support, "It's a great buzz to have everyone here, there is great support for the teams. We have young 14-year-old Katie Coleman on the Minor Cup team who won 8&6 today and Emma, another youngster on the Challenge Cup team, so the future is bright for the club." While the Mountbellew Intermediate team suffered defeat in yesterday's quarter-finals, the AIG Minor Cup team will hope to tomorrow emulate the success of their 2012 all-Ireland win, their Challenge Cup team takes on Ulster Champions Fintona in their semi-final. Roscommon, who are no strangers to All-Ireland finals, have reached their first AIG Senior Foursomes National Final having beat a strong Lucan team today. "We're absolutely delighted to have eventually made it to a final," said an elated Rosemary O'Brien. "It was a tough match today, the Lucan players were very strong and we just managed to come out the other side, really looking forward to the match against Killarney tomorrow." ILGU President Vonnie Noonan spoke about the success of the 2017 AIG Ladies Cups and Shields to date; "We welcomed over 1000 spectators to Malone to support their clubs today and with three finals and six semi-finals, Friday will be another busy day. The support of Malone Golf Club, and their 100 volunteer members, has been second to none, reinforcing the fact that Irish amateur golf could not be run without volunteer support, we are all excited for what the final two days hold."